I wish it would snow. Like, really snow. A massive storm that shuts everything down and makes it difficult to get the store, turning everything quiet for days while the city struggles to come back to life. Also, you know the sound of snow falling? Like a very gentle ocean? I miss that. 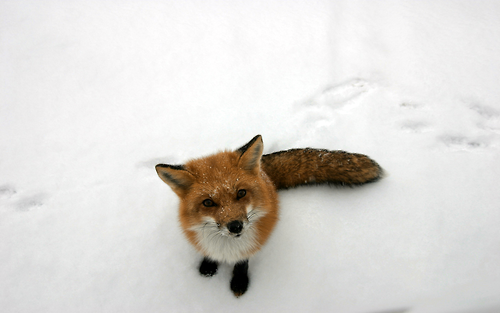 And just because, here’s a cute picture of a fox. Next > Words & Pictures.